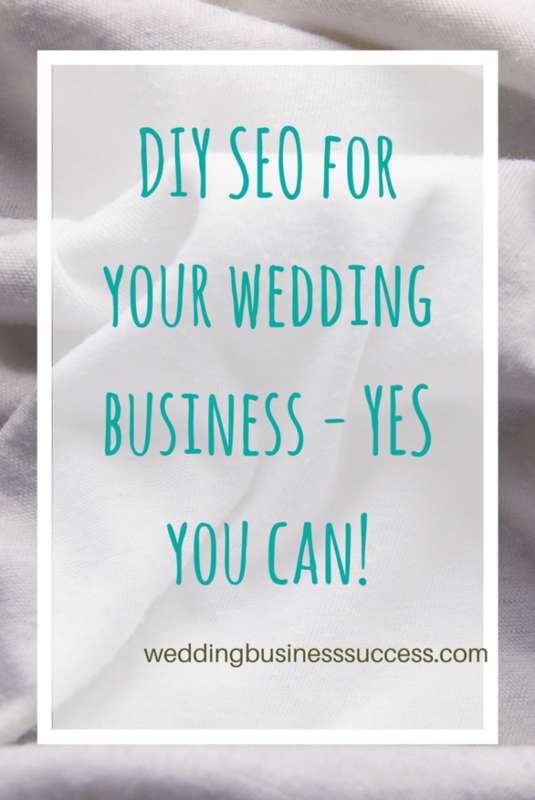 Can you do your own wedding business SEO? I love SEO – for me it’s the perfect combination of creative and analytical. Generating ideas for great content and backing that up with technical tweaks. And best of all – it works! It’s perfectly possible to do it yourself. When I ran The Wedding Crafter I achieved high Google rankings without ever bringing in an SEO expert. 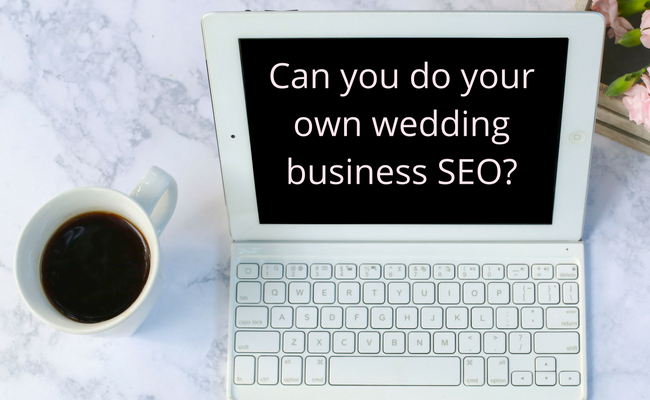 SEO isn’t rocket science (although some of the jargon used may tempt you to think it) and even technophobes can learn how to do SEO for their wedding business. And a business owner who understands SEO will do a much better job than an agency – especially if said agency has never worked with wedding industry clients before. After all, you understand the ultimate goals for your business (and they are not rankings or numbers of links). You’ll save money – professional SEO help is not cheap. Understanding the principles of SEO will enable you to write better website content and blog articles. You can leverage your PR work for SEO and get double benefit – these days PR and SEO go hand in hand (but only if you know how to do it effectively). As an ongoing activity you can build it into your schedule, setting aside a period of time each month to work on SEO. The investment required is mostly time rather than hard cash. Great if you have a small budget, particularly when you are starting out. Modern websites like WordPress, Wix and Squarespace are SEO friendly so you shouldn’t need to worry too much about technical issues. But there is a risk that you might miss an obscure, but important, technical detail which is sabotaging your efforts. If, despite your best efforts, you are not getting the results you expect, get an expert to audit your website for you. You will need to invest in learning how to do SEO properly. And it does require ongoing effort – you can’t just optimise your site and then leave it for the next 5 years. There’s plenty of mis-information out there. I’ve seen so many articles saying “such and such will help your SEO” with absolutely no evidence to back up the claim. Some are spot on, but many have only a tiny effect. And I’ve seen some downright lies too! 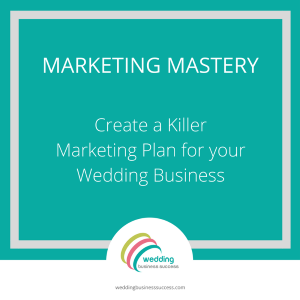 Techniques which are essential for large companies in highly competitive areas may be unnecessary for the niche wedding business. Look for articles and courses which are aimed at small businesses. SEO has changed a lot in the last 5 years. Always check the date of articles to ensure they are still relevant.